A slate with a 'well-pecked' edge. Possibly a weight, used for hanging off a strand of wool, for example. A pot rim - different from previous finds. 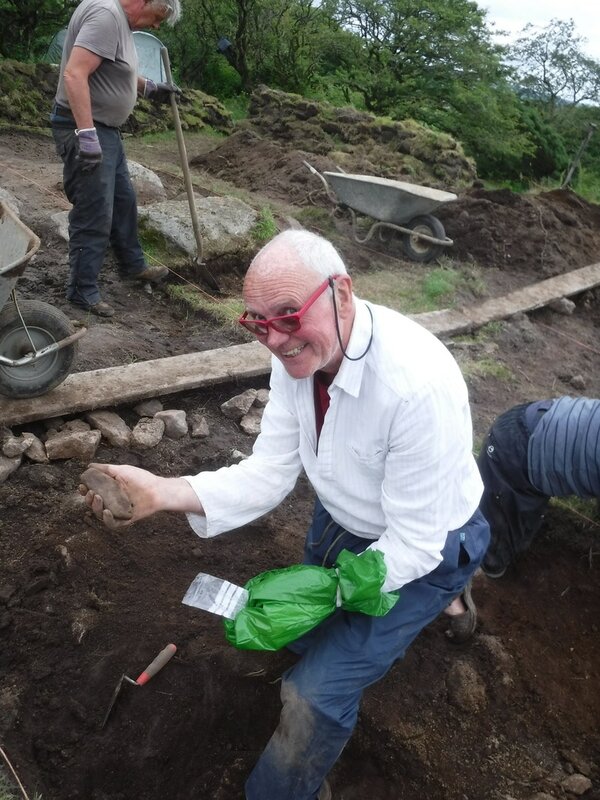 A worked stone - this volunteer returned to site 48 hours after surgery. Dedication! Good man Euan. 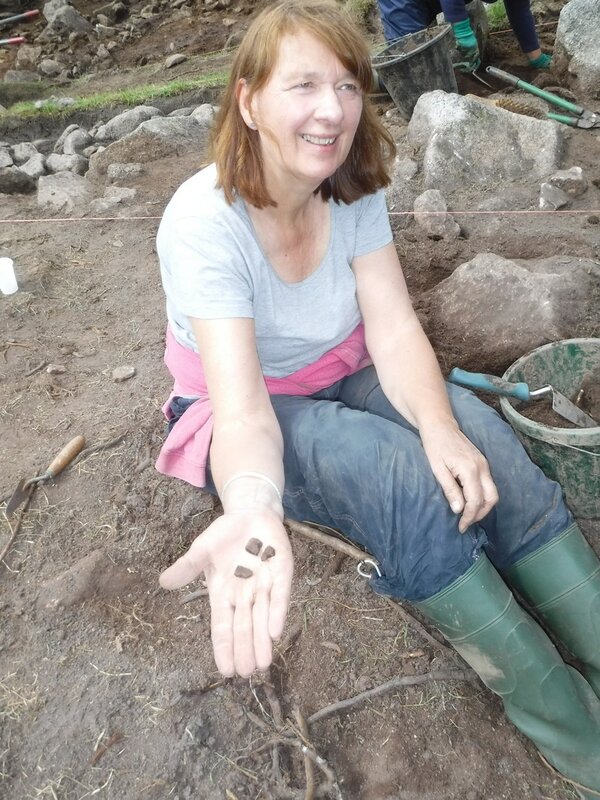 First day on site - potsherds her reward. 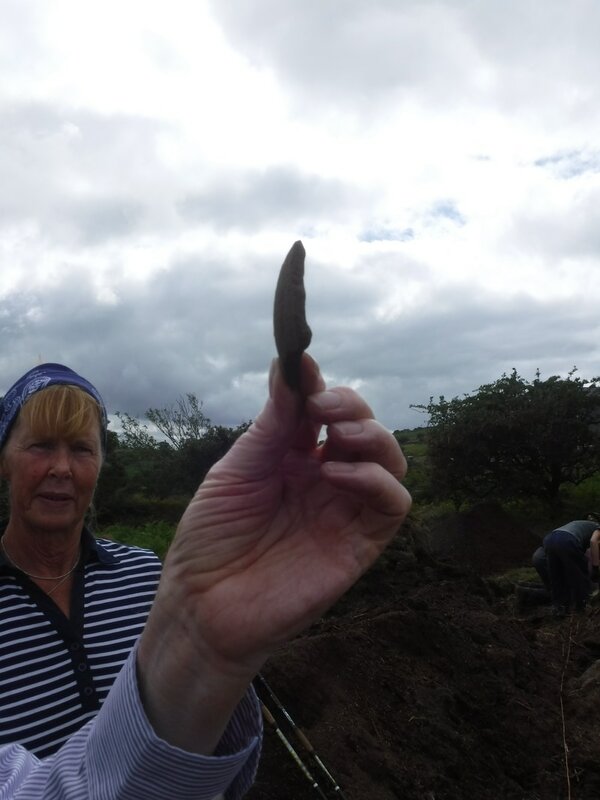 A significant flint - an import to Cornwall in the Neolithic era. 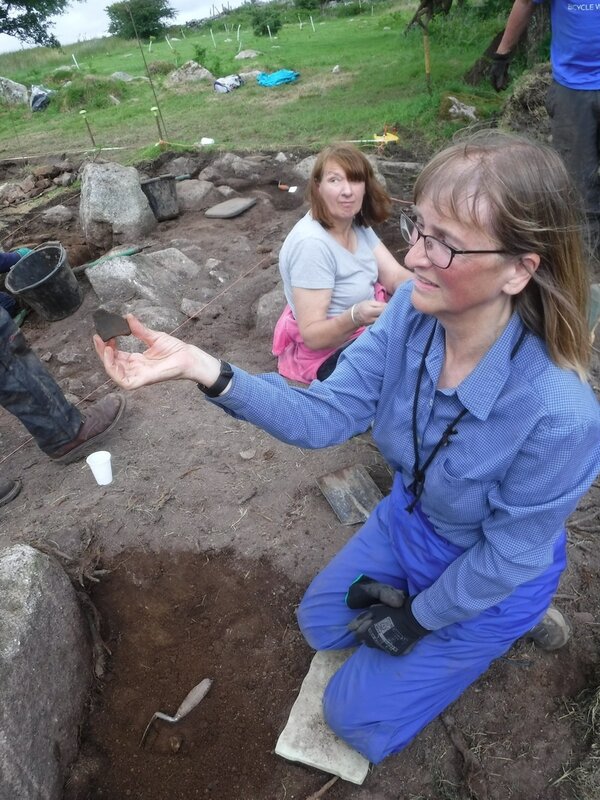 Anna Lawson Jones describes flint identification. 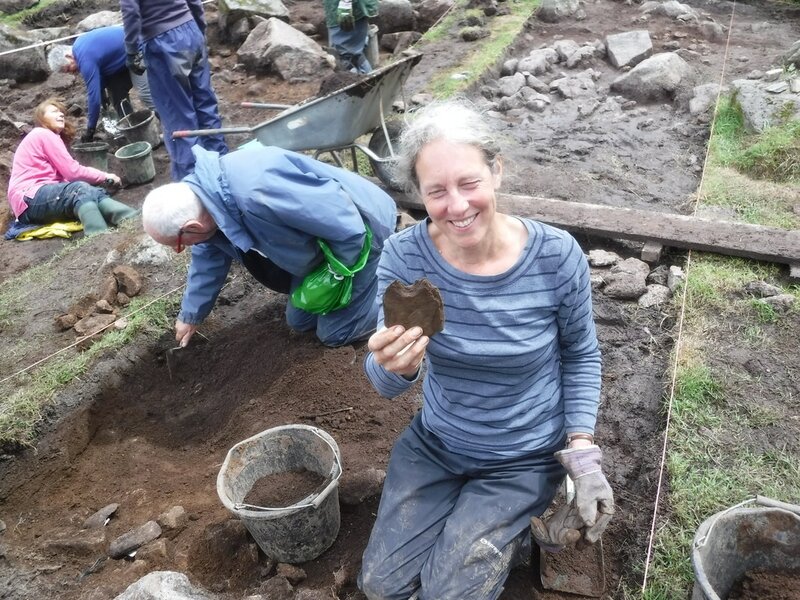 Margaret finds a beautiful curved sherd. See below as well. 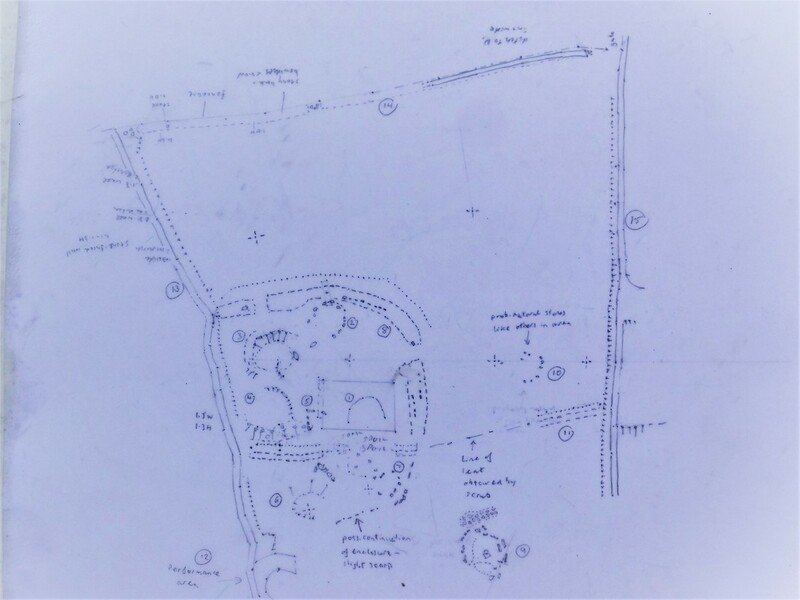 Survey drawing by Peter Rose and Konstanza Rahn, with assistance from Akshaya Tharmasekaran. 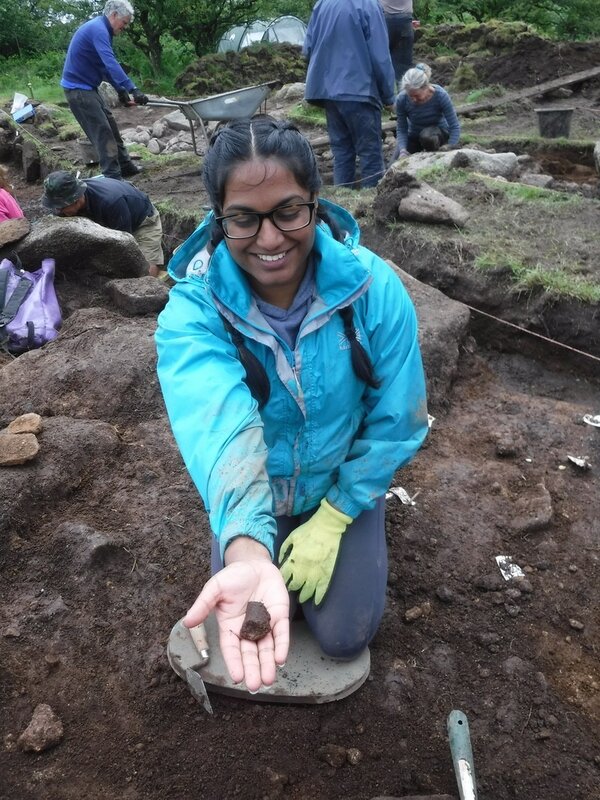 This suggests 7 or 8 circular buildings.